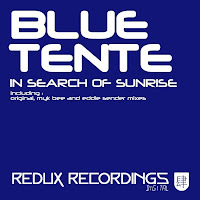 My 1 October 2010 Friday's Trance Track of the Week is In Search Of Sunrise (Myk Bee Dream Mix) by Blue Tente with the release available from Beatport. Click the artwork for a description at DJ Tunes. Listen to the entire Myk Bee Dream Mix at You Tube. Featuring the title track, here is my August 2010 "In Search of Sunrise" trance / progressive mix.